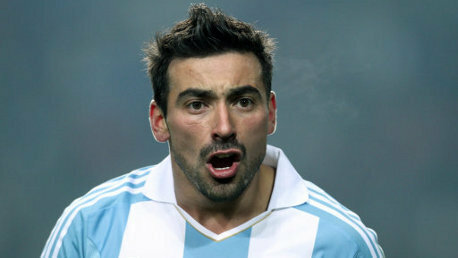 Chelsea are preparing a shock bid for Napoli strike sensation Ezequiel Lavezzi, with Salomon Kalou being offered as part of the deal. The news is surprising considering Andre Villas-Boas has a host of forward options with Fernando Torres, Didier Drogba, Nicolas Anelka now joined by Romelu Lukaku, and with Daniel Sturridge having impressed in pre-season. Villas-Boas is not totally convinced by Kalou and is willing to offload the Ivorian to land Argentine forward Lavezzi, a player that the former Porto boss has admired for quite some time. Napoli president Aurelio De Laurentiis has previously stated that it will cost at least a £27m bid to land the 26-year-old South American. But Chelsea will tempt the striker by offering £17m as well as the £10m rated Kalou. The Ivorian's availability comes as a surprise and he started Sunday's draw at Stoke City.